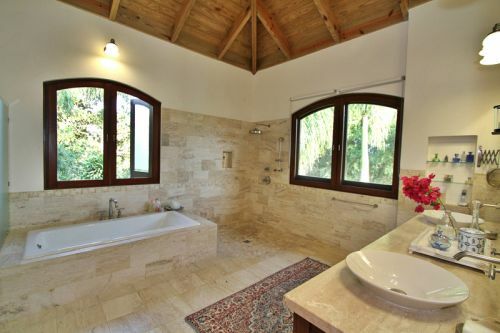 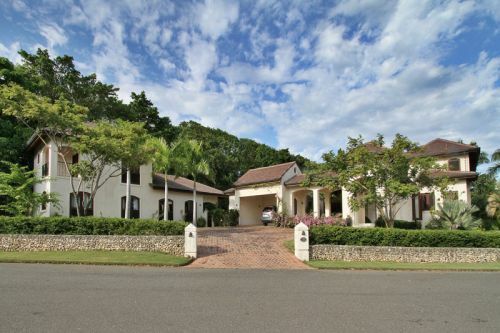 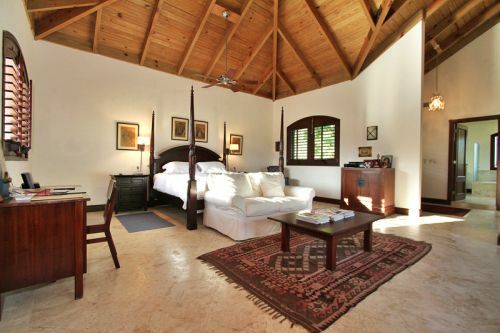 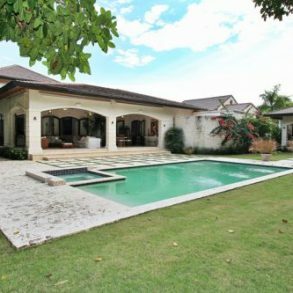 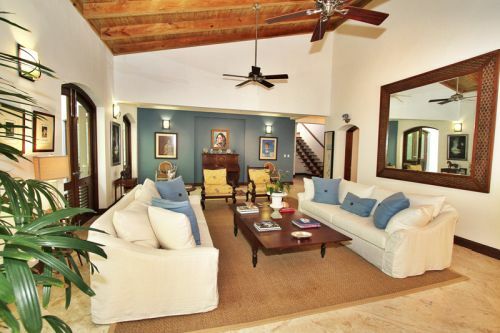 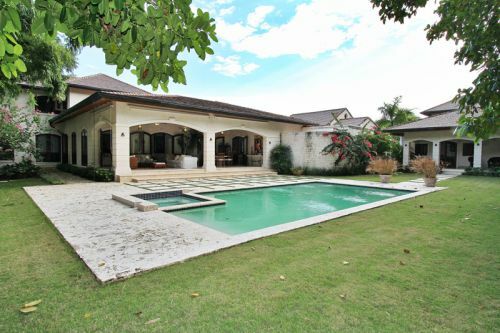 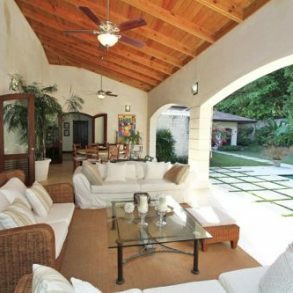 This beautiful villa built in 2008 has old world charm designed by the well-known architect Sergio Escarfullery. 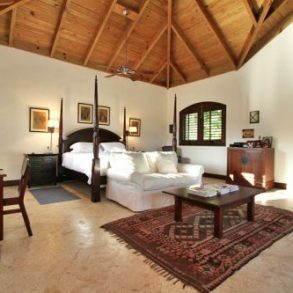 Like many other villas it has a stand-alone guest house, but this one is very unique in that the guest house is also three bedrooms and two bathrooms, a living room, dining room and kitchen. 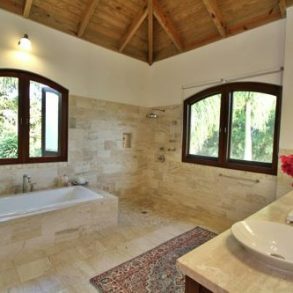 This guest house can meet many different lifestyle for relatives who have longer sojourns, a home office, art or architecture studio, live in help for an older relative, the possibilities are endless. 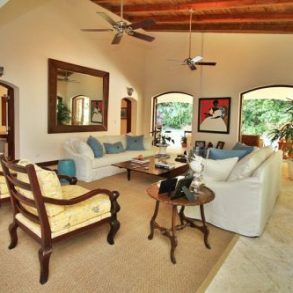 The main home is tastefully done with antiqued marble floors and lots of thought and attention to detail with dark hardwood on all the door frames and thresholds for a very sophisticated look. 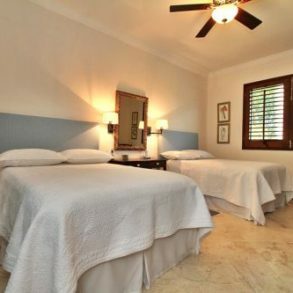 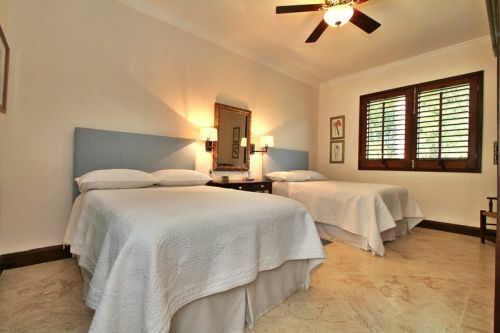 The master bedroom suite with terrace and his and her walk-in closets is the only bedroom on the 2nd floor, with an additional two bedrooms on the ground floor for a total of 6 bedrooms. 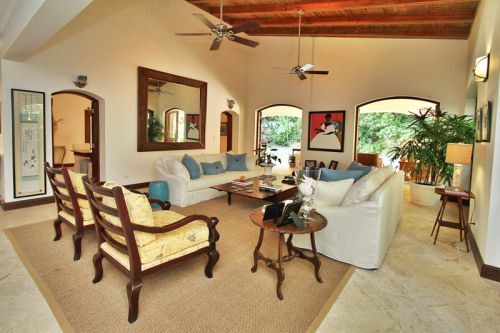 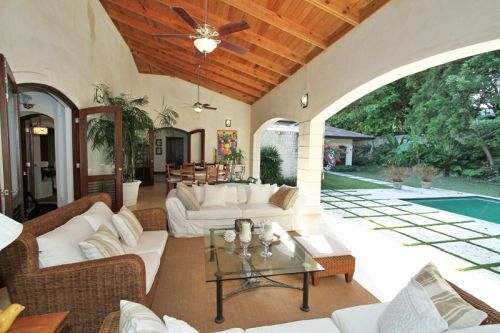 The kitchen, dining room and living room all open onto the spacious covered terrace, the heart of any Caribbean home. 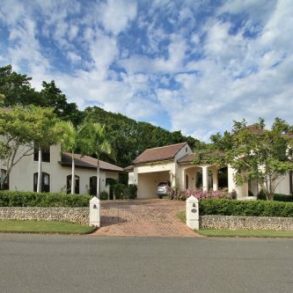 This home is designed for full time living with lots of storage, 2 car covered garage, direct access to the kitchen with all stainless steel Frigidaire and Viking appliances.